In response to three unrelated incidents at local refineries, gas prices in Southern California yesterday took their biggest single-day leap since March of 2016, going up by almost $0.05 to $3.48 a gallon. 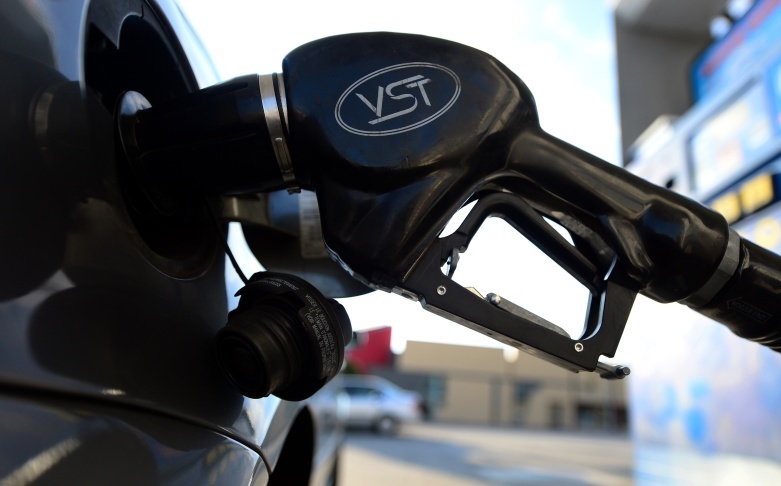 The price leap is the result of unexpected events at a Phillips 66 refinery in Carson and a Chevron refinery in El Segundo, as well as planned maintenance at a refinery in Torrance, says Marie Montgomery, a spokesperson for the Automobile Club of Southern California. Combined, the events led to a slowdown in production, thereby jacking up the cost of existing gasoline due to the increased demand. According to Montgomery, a fire broke out at the Phillips 66 in Carson on Friday, and there's no news yet as to the refinery's status. At the Chevron in El Segundo, a breakdown occurred that caused some unexpected flaring. Because of these two instances, what would have been routine maintenance at the Torrance refinery wound up exacerbating the diminished supply more than it otherwise would have, says Patrick DeHaan, a senior petroleum analyst for GasBuddy. "This comes at a time of year when other refineries generally are performing maintenance," he told KPCC/LAist, "so unexpected issues can have more impact." From here, DeHaan predicts that we could face a continued increase in prices, as much as five to ten cents over the next week. "As long as production is impacted as a result of the outage, we could be facing a higher price," he says.